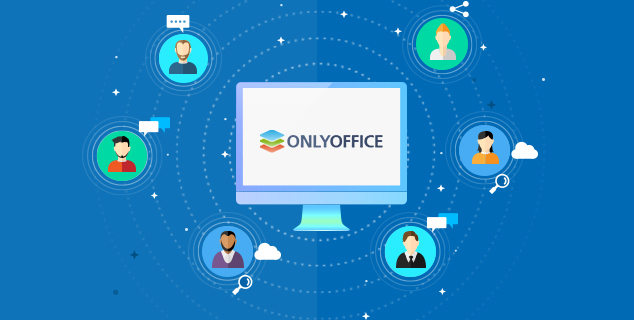 Who are ONLYOFFICE corporate users? Here comes the 2nd part of the article about our clients! We hope that their experience will help you understand which solution suits your company, especially if you still have doubts about what to choose – Enterprise or Integration. Enterprise Edition has the same features as the cloud service (online editors integrated with collaboration platform that has Projects, CRM and Mail), but can be deployed on a private network and also has advanced security features. Who uses? Companies with teams from 50 users and more, government agencies, educational institutions. And speaking about education – our Enterprise solution is extremely popular with French universities, just look – Académie de Lyon, Université Clermont Auvergne, IUT d’Orsay, Académie de Toulouse, and it’s not even the full list! But do not think that only educational institutions use our Enterprise solution. It is also implemented by big corporations, for instance, one of the Oracle departments in Britain, and public associations, such as Swedish Pirate Party. Motives. Keeping data on-premise, possibility to work with documents privately without having to trust third-party providers such as the Big Four – Google, Apple, Facebook, and Amazon. Most popular features. Online editors, Projects, Calendar, Control Panel for automating portal administration and backups. Useful links. Community Edition vs Enterprise Edition comparison is here. Learn how to get 50-70% discount for education here. It includes online editors with connectors for popular business solutions – Nextcloud, ownCloud, SharePoint, Confluence, Alfresco. No doubt that the most popular among them are ownCloud/Nextcloud. Who uses? Integration Edition is preferred by companies who already have own infrastructure based on, for example, Nextcloud, that suits their needs perfectly but lacks collaborative document editing. And it could be brought to them by us, ONLYOFFICE! Motives. Mostly security and possibility to use ONLYOFFICE Online Editors within a familiar interface. Compatibility with MS Office formats is equally crucial. Many also interested in the cluster* version. *Cluster version allows deploying at an unlimited number of locations or multi-server locations. It provides a more powerful software architecture, high availability and extra security. Developer Edition is for integrating ONLYOFFICE Online Editors into third-party web applications. Who uses? Companies that develop web solutions dealing with big loads of paperwork for formalization and negotiation: software for scientific labs and medical institutions, legal sphere services, CRMs, secure contract signing, sync and share systems, data rooms, etc. One of the most successful technical partners here is PowerFolder. Thanks to our partnership, thousands of students and teachers all across Germany use ONLYOFFICE editors. There are also companies that use our ready integration with Nextcloud and provided it to their users as a SaaS service. Motives. They are our document editors rich functionality, compatibility with MS Office formats, and, of course, our prices. It is much cheaper to buy a ready-to-use office suite from us them from us than develop them from scratch. Also, we allow companies to integrate ONLYOFFICE editors under their preferred brand. And what are your reasons for using/considering using ONLYOFFICE? Share them in comments! P.S. The 1st part of the article about individual users, non-profits and small teams is here.